Time to take a more rational view of Capital Gains Tax On its own Capital Gains Tax won’t take the heat out of the property prices in Auckland, or anywhere else, for that matter. 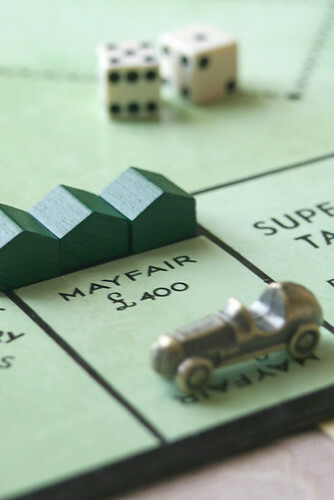 However much it may irk some economists and ideological libertarians, Labour’s proposal to try to eliminate non-resident property speculators – combined with a gains tax on secondary and subsequent purchases – might just have some legs. It should be of concern to hear commentators claim that CGT “won’t work”. I’m not sure what that phrase “won’t work” means – surely it depends on the objective you set? Where CGT has been introduced – with the primary residence exempted – investment behaviour has shifted towards other more attractive (i.e. less taxed) asset classes. So CGT has reduced property speculation which, in turn, has slowed property inflation. It's worked in other words - in the context of the objectives. In countries like Britain where CGT has been around for years, the investment in second and subsequent properties as investment vehicles is regarded as being less attractive than share ownership. And isn’t this government keen on seeing more New Zealanders own shares? So why listen to theoretical objections to a series of measures which in all likelihood will have the desired impact? Removing non-resident speculators who are able to pay over the odds for residential property. Please note – not foreigners, the appropriate term is non-residents – this includes Jeffrey Archer, for example. Reducing distorted competition for properties from non-resident buyers will surely make house purchase more affordable. Promising to build new houses is fine, but if it’s an argument about supply and demand, supply will never keep up with such a tax-advantaged investment demand. Placing a tax on investment property and by excluding the primary residence, will shift attention to other more liquid forms of investment. A good deal of the diverted investment funds could head towards the share market and the asset sales in the pipe-line. If listed companies found themselves as targets for these investment funds, perhaps some capital can be sourced for expansion, development, and growth. The cries of outrage which emanate from the economic theorists who bleat about the “loss of freedom” when such measures are proposed are in reality protecting the “rights” of speculators to exploit New Zealanders who can’t afford to compete with overseas wealth. The requirement to hold permanent residency before purchasing residential property is not uncommon elsewhere in the world, and it usually has little to do with a dislike of foreigners, but more of a case of allocating priority to local taxpayers and voters. These other territories are able to administer the laws of the land in this regard with apparent ease. For many years, NZ has avoided this status, but times are changing, and NZ’s role in the world is different from the days before the currency was floated on the international market, and commerce and industry started on the road to de-regulation. I suspect in relative terms, property has never been more unaffordable, and harking back to the days of having to find two or three mortgages at huge interest rates is just nuts. It would be interesting to plot the rate of inflation for the last 20 years, excluding residential property, against the rate of residential property inflation, against the rise in inflation adjusted incomes. As a source of tax revenue, CGT elsewhere barely breaks even, but like most taxes, it does impact on behaviour – in this case, there are a number of positive outcomes that the economic ideologues would do well to consider.